Theory: Could Wilson Be the Father of Jason Voorhees? Almost since the inception of the show, we have speculated whether or not Wilson is, in fact, God. His worldly wisdom seems endless. His constitution infinitely empathetic. And that fence eerily resembles a confessional. Wilson’s wisdom seems to emanate more from nostalgia than reverence. If he is God, he would be omnipotent, and would be able to see and know all things at all times. However, we also speculate that if he is God, and has taken a human form, that he might also be immortal, and has lived to experience firsthand the wisdom of the people he so often quotes. He is a man of nature over science. In one episode, he’s seen inhaling willow bark to remedy a headache instead of taking aspirin. He’s mentioned that he does not own a television. He often speculates about the expansive nature of the universe, and even gazes out at the stars through a telescope. He is often seen tinkering with “God’s Creations”, i.e. animals. Showing benevolence to those he captures, but also having a plan for those who’s time it was to perish (mostly using their skins for various purposes). In one particular episode, Wilson seems to be in two places at once – both behind the fence, and also as the visage of Santa Claus, (perhaps calling into question whether Santa is Wilson’s sibling, and whether they are celestial beings, or perhaps demonstrating Wilson’s ability to be everywhere at once). At another point, he is carving ducks (and a penguin! ), which he may or may not give life to later. And during even another episode, he’s creating a scarecrow in his own image. As one reddit user pointed out, Tim also is a Christ-like figure, a carpenter of sorts, guided by the word of his “father”. The list goes on and on, and this is only from season one. We will be continuing to develop this theory more as the series continues. Fans of the horror franchise might already see where this is heading, but let’s examine the history of Friday the 13th a little bit. The first film, which takes place on Friday, June 13th, 1979, depicts the first murder spree of camp counselors at Camp Crystal Lake. Poised as a gruesome murder mystery, the killer is revealed to be Pamela Voorhees, the mother of Jason Voorhees, a disfigured child who drowned in the lake on Friday, June 13th, 1958. Aside from the final jump scare in the original film, it’s not until the second film that we are introduced to who would become the titular character, Jason Voorhees. As the series of films progresses, we learn quite a lot about Jason. He, at least initially, dishes out penance to sinners who commit any of the seven deadly sins. He is consistently murdered and resurrected by supernatural, or perhaps “divine”, forces. And, he certainly likes to keep his face concealed. Fans of Friday the 13th are also well aware that there is never any mention of Jason’s father throughout the entire franchise. This could be because Jason’s father was a monster who forced himself upon Ms. Voorhees, resulting in Jason’s birth, though there is no direct evidence to support that one way or another, so it could easily be speculated that Jason was an immaculate conception. As far as the franchise is concerned, there is a lot of room for theories of all sorts regarding Jason’s biological father. 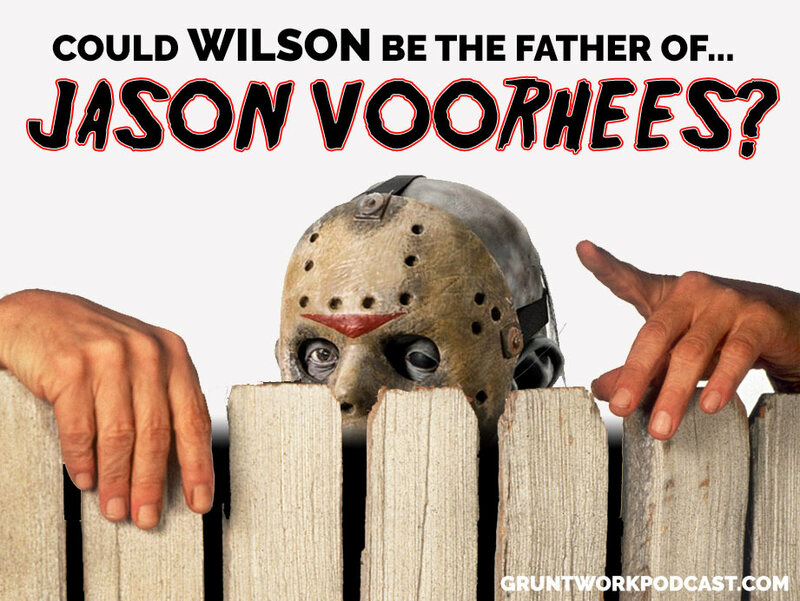 Is Wilson Jason Voorhees’ Father? It’s Valentine’s Day, and Tim is tasked with going camping to demonstrate the new Binford line of camping gear. However, he had also booked reservations for him and Jill at an exclusive lodge. Torn, Tim conjures up the plan to do a quick pitstop at a camping ground on the way to the lodge. Where does he learn of this campground? From Wilson. What is this campground called? Crystal Lake. 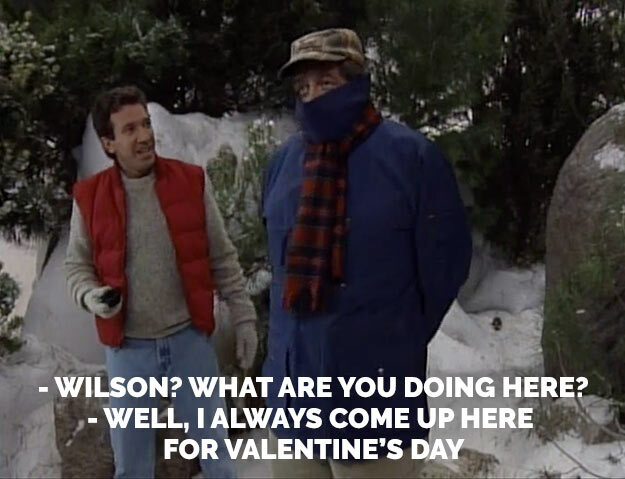 In Baby It’s Cold Outside, Wilson claims that he visits Crystal Lake every Valentine’s Day. In 1992, Valentine’s fell on a Friday. 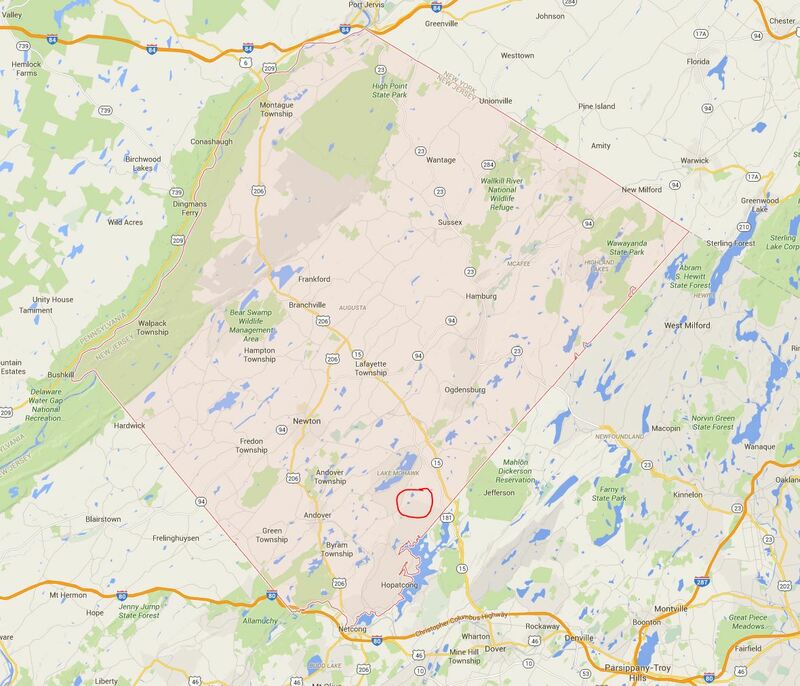 While in the Friday franchise, the location of Crystal Lake is widely debated, it’s more than likely located in New Jersey (with some reports in Connecticut), and the Taylors live in Detroit. It might be a bit of a stretch, but not completely implausible that they would take a nine-hour road trip to the East Coast. Both Jason and Wilson love using outdoor tools to do their work. Both are extremely isolated figures. Wilson was 6’2” while Jason’s height has varied from 6’3” to 6’5”, not a far genetic deviation. If Wilson is God or immortal, could he have passed his powers onto Jason? Could Wilson be Jason’s father? What do you think? We’ll be updating this theory as the evidence rolls in.